Does Your Horse Suffer from Pastern Dermatitis? Do you suspect your horse may have Pastern Dermatitis? If you see any of these symptoms, it’s very likely your horse has Pastern Dermatitis. Also called “Scratches,” “Mud fever,” or “Greasy heel” Pastern Dermatitis is a skin reaction usually found on the pastern and heel, but on occasion can extend up the entire lower leg. Draft horses, having heavy feathering on their lower legs, are especially susceptible, because the hair traps and retains moisture and debris. Pastern Dermatitis can be very painful, and in some cases can even cause lameness. So if your horse has pastern dermatitis you need to deal with it right away! Try Equinell™ Shampoo RISK FREE! Equinell™ Shampoo has successfully helped many horses suffering from pastern dermatitis. If your horse suffers from this condition, what reason is there to wait another moment? Act FAST! Pastern dermatitis spreads quickly! Apply Equinell™ on your horse and watch the results. We think you’ll agree that Equinell™ Shampoo works better BY FAR than any other similar product on the market. And we’re so sure, that we’re offering a MONEY BACK GUARANTEE! If Equinell™ doesn’t do more to relieve your horse’s Pastern Dermatitis than Any Product You’ve Tried to Date, just return the unused portion for a FULL, No-Hassle refund! We know you’ll be happy you tried Equinell™ Shampoo… and your horse will be too! P.S. 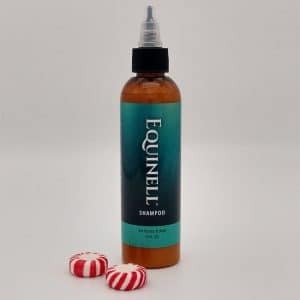 Besides Pastern Dermatitis, Equinell™ Shampoo is useful for handling numerous other skin conditions, including rain rot, mange, and leg sores of any kind. P.P.S. There’s really no reason to wait. If your horse is suffering, why not act RIGHT NOW! 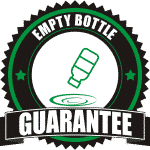 Our No-Questions-Asked, Money-Back GUARANTEE makes this a “No-brainer”!